And, sad to say, it just ruins your look. You can’t spell summer without a trip or two to the beach. Of course, any activity that involves taking tons of photographs requires a lot of planning and priming. When you’re beach-bound, that usually involves finding the perfect swimsuit, getting your nails done, and ensuring your body is smooth and hair-free (if that’s your thing). Let’s not forget sun protection. You’ve read enough to know that the sun can do major damage to your skin. Wrinkles, sunspots, and increased chances for skin cancer? No, thanks. So most of us slather sunscreen on our bodies—but we stop right there. We confidently hit the beach without realizing there’s still one body part we should be paying just as much attention to: our hair. Our hair is susceptible to damage like any other part of the body, especially when under prolonged sun exposure. In fact, it's three times more prone to damage than our skin! Just think of how too much heat styling can fry your tresses and make them dry. Now, imagine staying out in the sun for hours without even a hat to shield your hair from the heat. Your hair can also be damaged by the sun's ultraviolet radiation. With hours of unprotected exposure to UV rays, hair loses moisture and undergoes substantial protein loss, so it becomes weak and dehydrated. 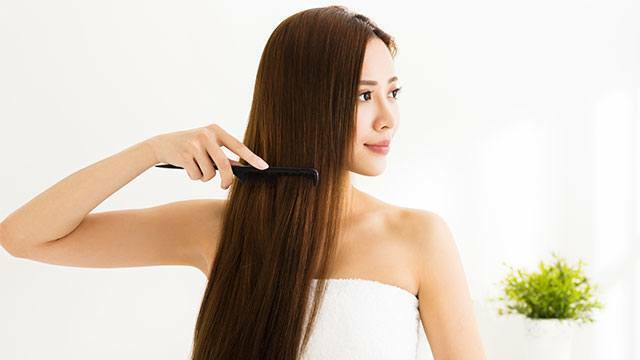 Dry and brittle strands are prone to breakage. Some studies have found that ultraviolet radiation can slow down or inhibit hair growth and even make your locks lose their color. And if you think taking a dip on the ocean can offer your hair a moisture boost, think again. Salt water actually draws moisture out of your hair, resulting in dry, damaged, gnarled tresses that can last for months. Make sure to treat your hair to a little extra TLC before, during, and after your beach trip. In fact, this summer, reach for haircare products that address constant sun exposure to maintain the health of your tresses. 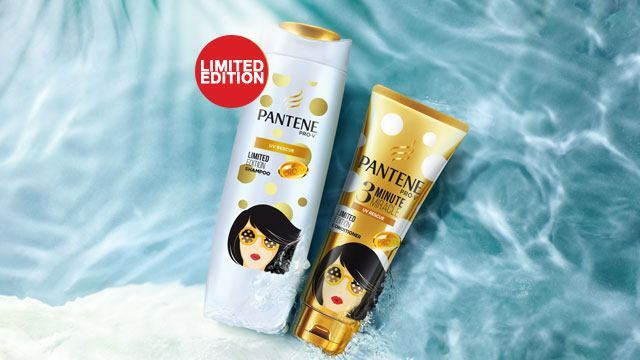 The new limited edition Pantene UV Rescue Shampoo and 3 Minute Miracle Conditioner will give you strong, healthy, and moisturized hair even after hours of sun exposure. Massage the shampoo onto the scalp and strands for extra nourishment and shine, thanks to a Pro-V formula that cleanses without stripping away essential oils. Then apply the 3 Minute Miracle Conditioner from root to tip before you take a dip. Formulated with histidine, this summer must-have penetrates deep into strands to repair them from within, and coats the hair with a protective shield to ward off UV rays, sun damage, and dryness. For more hair care tips, follow Pantene on Facebook.